Have a Knight Rider replica or wonder if others in your area might? 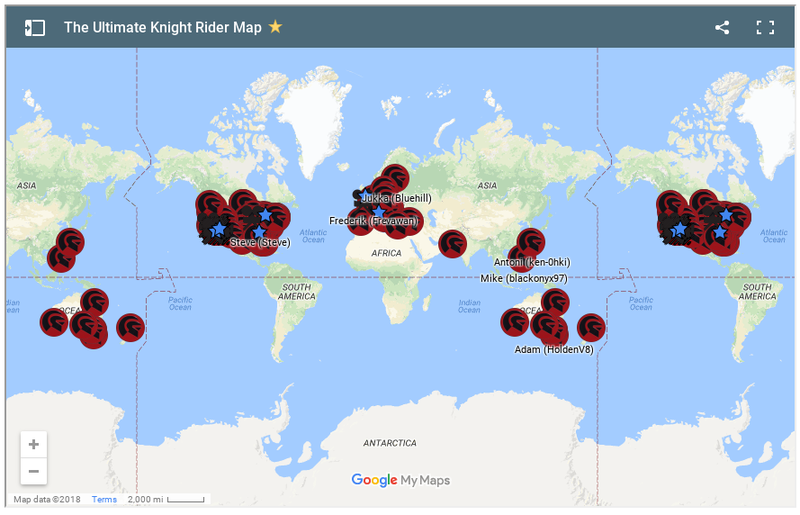 Would you like to see where the closest Knight Rider Convention or Club is? How about being able to pinpoint shooting locations from the show? This map has it all! Make to sure to check out the Ultimate Knight Rider Map!